For you Pecan lovers: Whole pecan halves coated with our rich, buttery, perfectly sweet, golden brown Karmel coating . 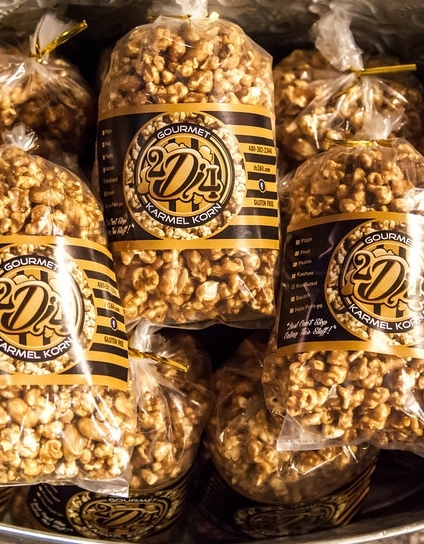 . . mixed together with our rich, buttery, golden brown, perfectly sweet Karmel Korn. Mmmmm . . . yum! Want it drizzled in Chocolate? We have that in the "Drizzle's" section and it's available November-May.